You know what we should do today? I think we should ride our bikes around in 90 degree weather and start day drinking around 10am. These were *mostly* the words that came out of my fiancees mouth, and when you’re visiting Niagara-On-The-Lake around Labor Day; well it’s kinda what you do. 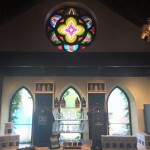 We knew that we had a bunch of wineries that we wanted to hit up, but also included on our itinerary was the inclusion of two Breweries; one of which I will talk about now. Sweaty, a little bit tired, and very thirsty, we approached the Silversmith Brewery. From the outside, it looks a bit like a place where weapons are made. I would imagine that was the point, as the name implies that Smithing has been done there at one point. When you go in, there are stained glass windows and a peaked ceiling. Scratch the idea of weapon forging, this was a converted church. Wood and iron all over the place, it’s very all very beautiful and medieval looking. We took our seats at the expansive bar and ordered a flights which I will get to in a minute. While the alcohol is on full display, they also had offerings of food that included Brats, wings, Po’ Boys, and pickled watermelon rinds. We didn’t sample any of the food items though, as we had already eaten breakfast. Let’s get to the alcohol though, which we gladly sampled before noon. 5.2% Alcohol by VolumeThis was my least favorite of the lineup. It had a crisp and refreshing taste, but a little too soft for my tastes. I can understand why they call it a ‘Breakfast wheat’, as I could see this going well with their brats or even a waffle. They call this beer their ‘patio crusher’ and as soon as you take a sip you’ll know why. The Hill 145 is a PERFECT Summer beer. It’s so light and crisp and perfect for entertaining people on your deck while simmering up some tasty ribs. Really loved this beer. The Dam Buster is what I would refer to as a “classic beer.” It’s really good for any occasion and the hints of butterscotch make it smooth and refreshing. It has light hops and really hearkens back to a traditional British Ale. The Black Lager is their flagship beer and I can certainly see why. I’m a fan of dark beers in general so I’ll be a bit more biased, but damn if this isn’t just a fine tasting brew. Not heavy at all with that 5% abv; it goes down smooth and leaves an aftertaste of chocolate and coffee. I had half of the flight and then just went ahead and ordered their special of a pint glass and beer for $10 dollars and couldn’t be happier. If you only have time for the one beer when you visit, this is the one you get. 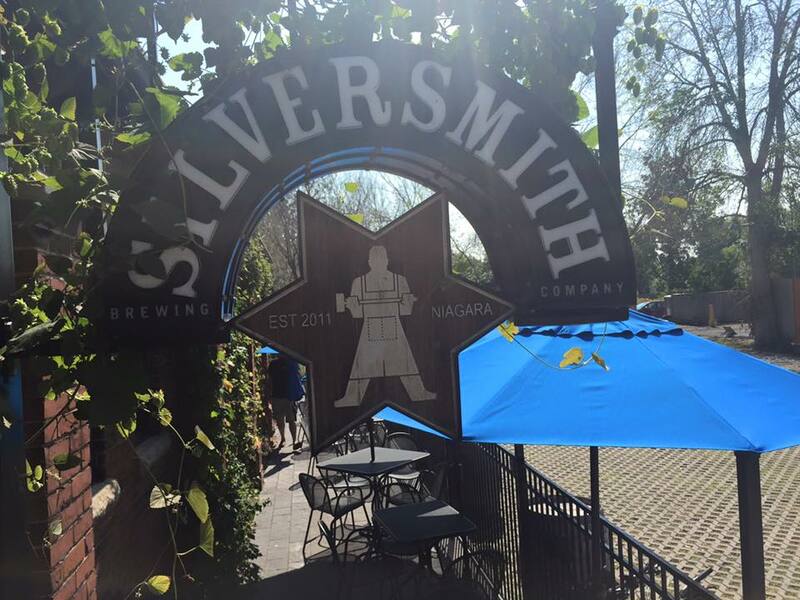 Overall, Silversmith was a perfect place to stop and get our day-drink on. 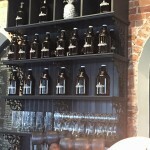 The waitstaff was extremely friendly and knowledgeable as we asked them questions about the beers and establishment. 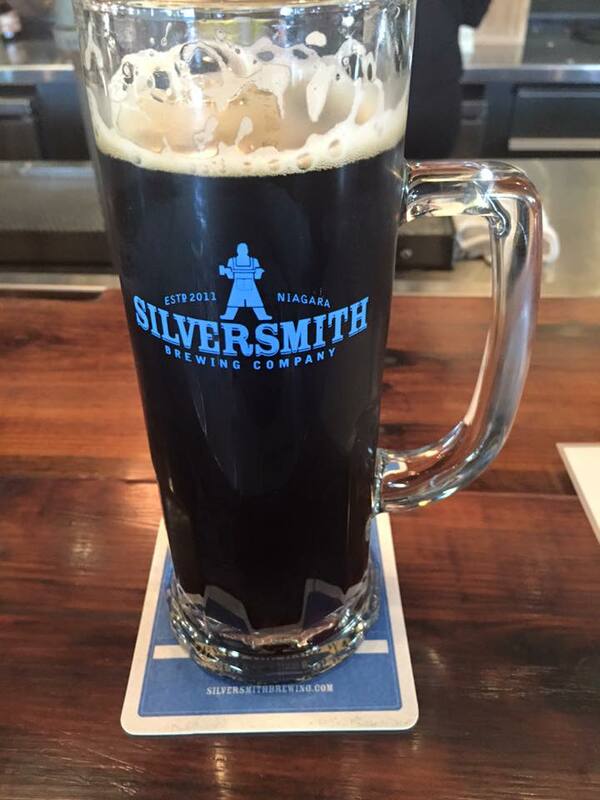 If you happen to be in the Ontario area, please take the time to make your way to Silversmith Brewing Company, because you will not be disappointed. 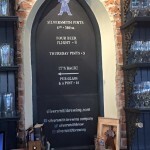 You can visit their website to learn more about them here: Silversmithbrewing.com. Also make sure you follow and like their page on Facebook for interaction, news, and great photos.